Now you can pay your bills of ACLEDA Institute of Business via ACLEDA Unity ToanChet and ACLEDA Internet Bank anywhere and anytime conveniently. Select "Link or Delink Bank Account"
Joint account must have condition of "anyone of them may sign" and fingerprint enrollment. Bank account which already linked with ACLEDA Unity ToanChet cannot make ToanChet payment (QR payment) and top up. Now you can pay general taxes (excluding tax on means of transportation) to the General Department of Taxation of the Ministry of Economy and Finance through ACLEDA E-Commerce Payment Gateway. ACLEDA Bank charges KHR4,000 per transaction, automatically deducted from your bank account. 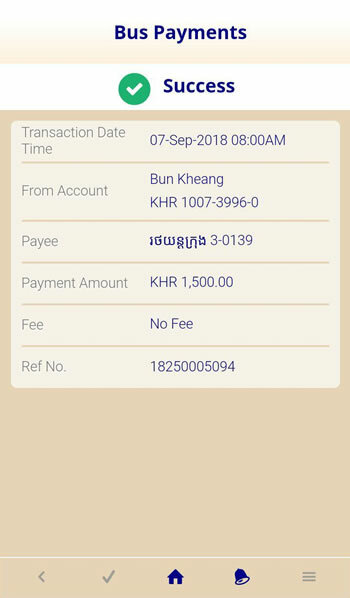 The payment is made in Khmer Riel, in case the customer's account in another currency beside Khmer Riel, it will be automatically converted to Khmer Riel according to the exchange rate of ACLEDA Bank. Payment for the U.S. Nonimmigrant Visa at ACLEDA Bank Plc. To provide more convenience to our customers and the public, ACLEDA Bank established counters in the General Department of Taxation for serving all kinds of taxes (Property, Transportation, Taxes). 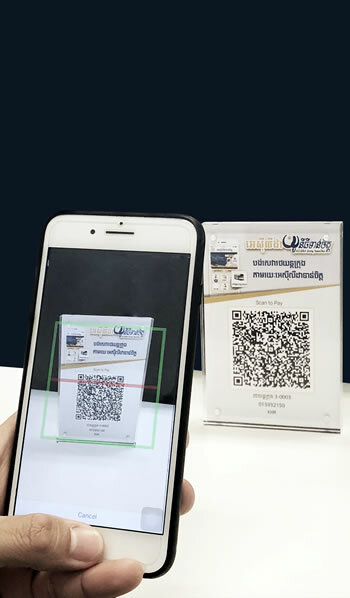 Thus our customers and the public can pay all kinds of taxes at the ACLEDA Bank's counters in the General Department of Taxation's headquarters or at ACLEDA Bank's branches throughout Cambodia.